let missing teeth affect how you chew, smile or live your life. Bring back that ear-to-ear grin with an effective, permanent dental implant. 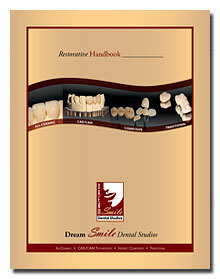 Ask Dream Smile Dental if implants are right for you. Dental implants are artificial tooth roots, or titanium fittings, that are surgically secured to the jaw bone. The light and durable metal implant acts as an anchor for a false tooth or set of false teeth. Since implant fuses to the bone, the attached artificial tooth, which is matched to the exact color of your natural teeth, looks and feels completely authentic. There are two general types of dental implants: endosteal and subperiosteal. Endosteal implants are the most common variety and anchor directly into the jaw bone, in either “root” or “plate” form, depending on the size of your jaw. Subperiosteal implants, which are available to patients who cannot wear conventional dentures or who have minimal bone height, are custom on-the-bone anchors that sit under the gums. Is Implants Right For Me? 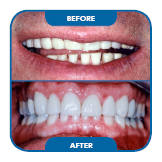 A secure, long-term smile solution, implants are ideal for people of all ages who have lost teeth due to injury, periodontal disease or other causes. Dental implants can even replace a full set of missing teeth, certain types of bridges and removable partial dentures. While the body rarely rejects dental implants, they have proven most successful when performed on the lower front jaw. The best implant candidates are those with healthy gums, good general oral health, a strong commitment to oral hygiene and enough bone near the missing teeth for the implants to attach securely to the jaw. Even if you aren't an ideal candidate, there are various complementary procedures, including bone grafting and sinus augmentation, that can help prepare your mouth to accept implants. 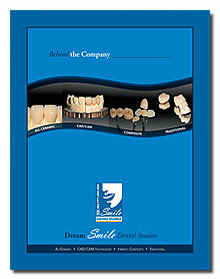 • Provides a reliable, long-term dental solution-can last a lifetime! “Bona Fide” Results: The success rate of dental implants is approximately 99%.